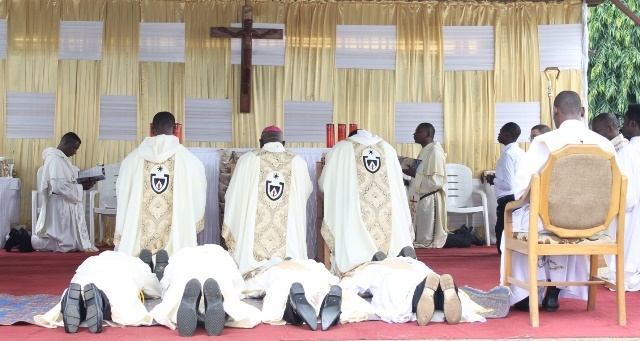 The four Catholic priests abducted by unknown gunmen in Nigeria, early this week, have been released. The priests abducted, last Tuesday evening, by unknown gunmen have been released. Chancellor of the Archdiocese of Benin, Fr. Mike Oyanoafoh announced this in Nigeria, Thursday evening. “To God be the glory. I am happy to announce to you that Fr. Joseph Ediae and three other priests of Warri, Ijebu Ode and Abeokuta Dioceses have been released. They were released about 7.50pm this evening,” said Fr. Oyanoafoh in the announcement. Frs. Joseph Ediae (Benin Archdiocese), Frs. Victor Adigboluja (Ijebu Ode Diocese), Anthony Otegbola (Abeokuta Diocese) and Obadjere Emmanuel (Warri Diocese) were returning from a special reunion meeting held in Warri on Tuesday evening on their way to Ekpoma when gunmen ambushed the convoy of vehicles ferrying them. The priests were on the way to All Saints seminary in Uhiele - Ekpoma, their Alma Mater, where they had planned to celebrate their tenth priestly anniversaries. Four other priests managed to escape in their damaged cars while the four priests were captured. No details were given about the health of the priests or the circumstances leading to their release.